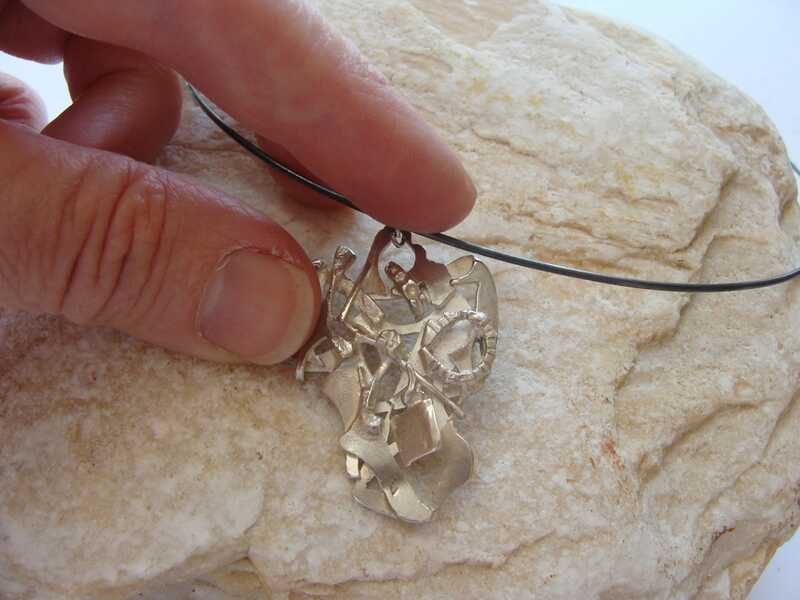 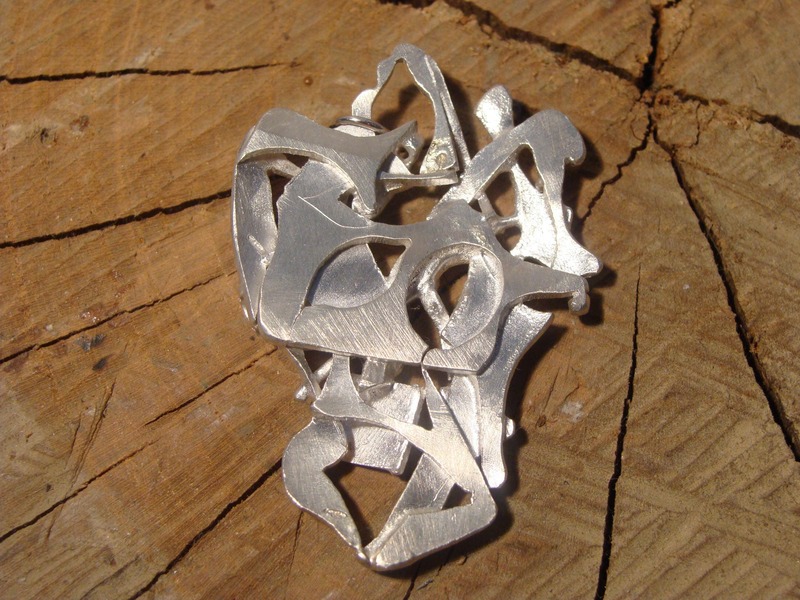 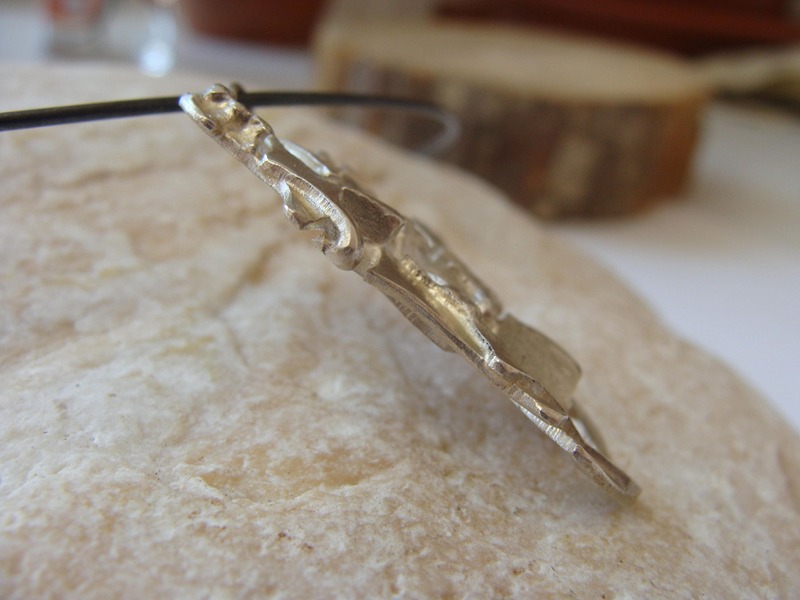 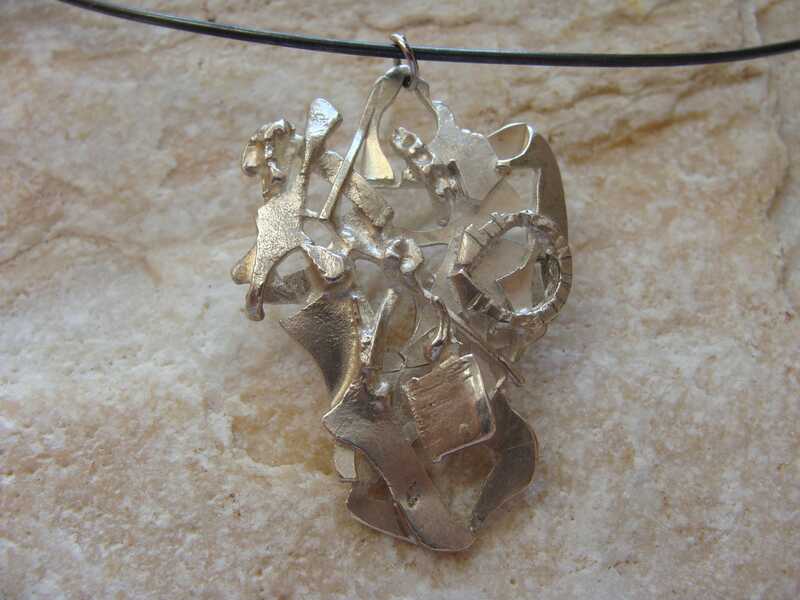 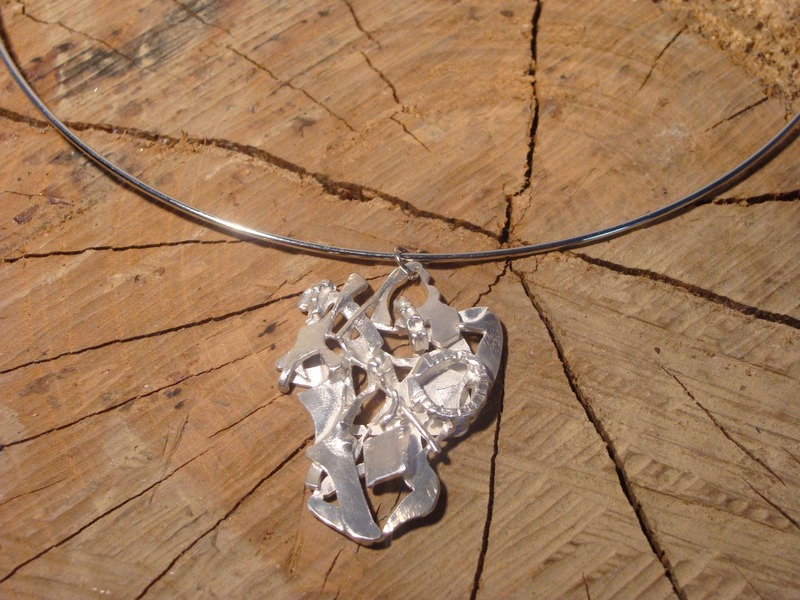 Original and unique, this pendant has been made from silver trivets, welded together to create an original form, in which everyone can give free rein to his imagination and see different subjects! 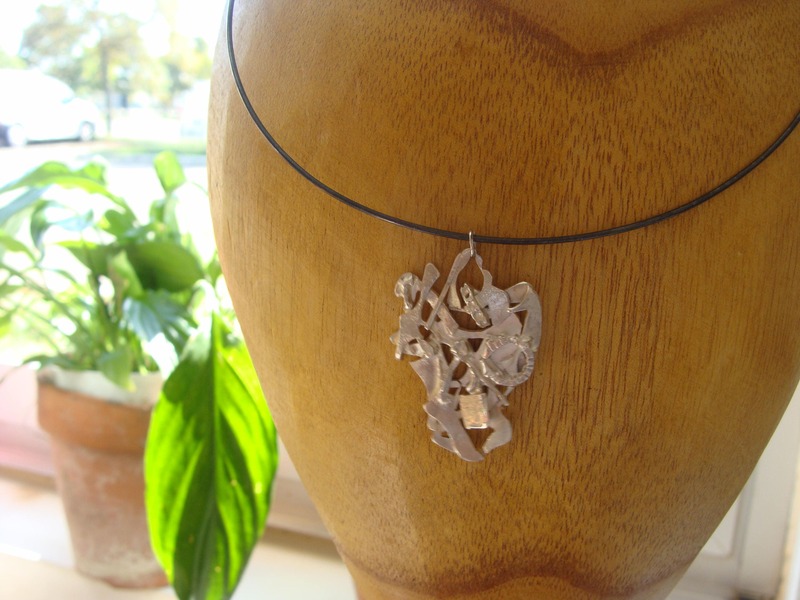 It is presented on a choker silver metal, it is possible to wear a cord as shown on the last picture, or a silver chain. 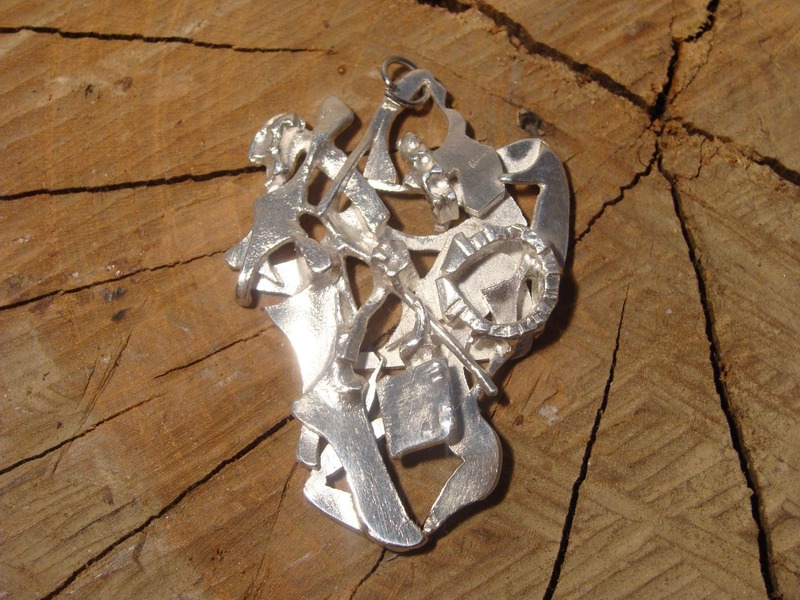 Unique piece made in my workshop Lyonnais.